There are those casual Harry Potter fans who remember loving Harry, Ron, and Hermione. They hear the quote “always” and think fondly of Snape, Lily, and James. Maybe they even have a t-shirt that says “mischief managed” as an ode to the Marauders and Fred and George. All these Harry Potter characters are so recognizable, along with Luna Lovegood, the Weasley family, and Hagrid. These are the characters most chosen for Halloween costumes, and the characters most quoted. Everyone remembers their time at Hogwarts, and wanted to know where they would end up after graduating. Everyone remembers the actors who portrayed them in the movies, because naturally they were included on the big screen. But what about the characters that the films forgot? What about the characters from the series that were mentioned offhand, or appeared in only a few scenes, and then were never discussed again? True fans remember these characters, because true HP fans have read the books so many times that the most obscure character’s name sounds just as familiar as the rest of the beloved characters. So take a look at this list and see if you remember some of the more ~obscure~ characters from the wizarding world. Her name probably sounds familiar, because you heard it called when she was sorted first way back in Sorcerer's Stone (she's a Hufflepuff, if you forgot). She's described as a "pink-faced girl with blond pigtails," and that's probably as much as casual fans remember. But Hannah was actually very present at Hogwarts: she was a member Dumbledore's Army, and according to J.K. Rowling in a book tour interview, she becomes the land lady of the Leaky Cauldron and marries beloved character Neville Longbottom. Remember when both Ginny AND Percy were hiding secrets in Chamber of Secrets? Ginny's secret was that she was being possessed by Voldemort. Percy's secret was that he had a girlfriend: fellow prefect Penelope Clearwater. Later he has a photograph of her in his room, but she keeps hiding in the frame because the photo is damaged. Elphias Doge was one of Dumbledore's friends, and wrote an endearing (albeit biased) obituary about the headmaster for the Daily Prophet. In the movie, Cho Chang betrays the D.A. (due to Veritaserum), but in the books it's actually Cho's BFF who spills the beans — willingly. Marietta betrays Dumbledore's Army, but since Hermione jinxed the list of members, Marietta ends up with a face full of pimples that spell out the word "SNEAK." 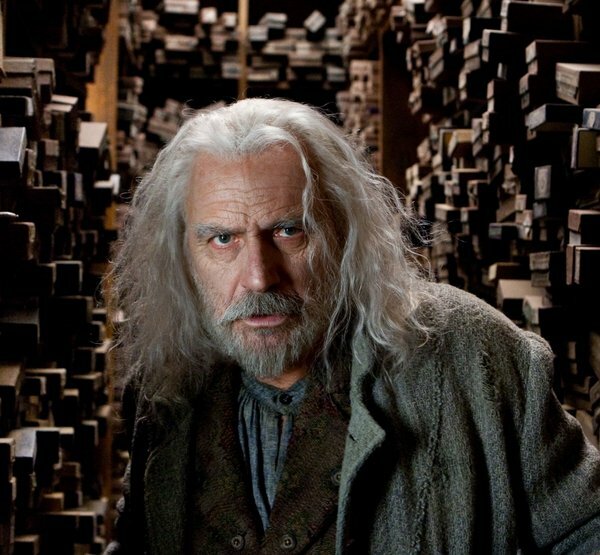 Ollivander wasn't the only wandmaker in the HP universe: Gregorovitch sold Viktor Krum his wand. He actually possessed the Elder Wand for a time, but it was stolen after he spread rumors that he had it. The thief? Dumbledore's former friend, Grindelwald. She appears in the first film and then pretty much disappears, but in the books Madam Hooch is a steady presence (as is Quidditch). Though she teaches flying lessons and referees Quidditch matches, her main job sometimes seems to be breaking up fights between Gryffindor and Slytherin Quidditch players. You remember the Grey Lady and the Bloody Baron and Nearly Headless Nick, but do you remember the lesser known ghost, Sir Patrick Delaney-Podmore? AKA Sir Properly Decapitated Podmore? He's the leader of the Headless Hunt, an event Nick sadly can't participate in, because you must be completely headless to be a part of it. Poor Nick. The Hogwarts library wouldn't be the same without the super-strict librarian, Madam Pince. She's always worried that books will be damaged, which in her mind is the worst thing possible. She also FORBIDS eating in the library, and isn't much help during all the times Harry, Ron, and Hermione are searching the library for various books. Hagrid's giant mother isn't discussed much in the films, but in the books there's quite a long description of Hagrid visiting the giant community. He also finds out that Fridwulfa has another son — Hagrid's half-brother, Grawp. She was displeased with both sons because they were "small." She's also known as the "singing sorceress." Mrs. Weasley listens to Celestina Warbeck's song, "A Cauldron Full of Hot, Strong Love."